Home / Unlabelled / 68 JOB OPPORTUNITIES ANNOUNCED AT THE UNIVERSITY OF DODOMA. 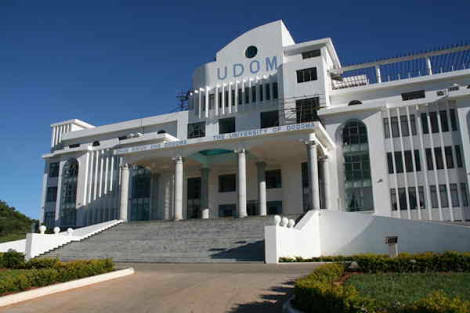 68 JOB OPPORTUNITIES ANNOUNCED AT THE UNIVERSITY OF DODOMA. The University of Dodoma invites applications from suitably qualified Tanzanians to fill the following academic positions at its Colleges. Holders of PhD and Masters Degree in Anthropology and Sociology (1); History (1); Economics (1).MMed in Radiology and Opthalmology (1) with a GPA of 4.0 out of 5 and a minimum Degree GPA of 3.8 out of 5 or its equivalent in the First Degree.PhD’s, Master’s and Bachelor’s degrees must be obtained from recognized institutions. Holders of any Bachelor degree of Science and a Masters in any of the following:- Geomatics/ Geoinformatics, Geology, Petroleum Engineering, Energy Engineering, Mining Engineering, Mechanical Engineering, Energy Engineering, Environmental Engineering, Environmental Sciences and Mineral Processing Engineering (6);Holders of Masters Degree in International Relations (2); Philosophy (1); French (1); Fine Arts (1); Mass Communication (1); Special Needs Education (Braille Skills) (1); Educational Counselling and Guidance (1); Masters of Law (LLM) (3); Human Resources Management (1); International Business (1); Environmental Economics (1); Pure Mathematics (1); Chemistry (Organic Chemistry (1); Plants Breeding (1); Msc in Paediatric Nursing (2);Masters Degree must have at least a GPA of 4.0 out of 5 and a minimum Bachelor Degree GPA of 3.8 out of 5 or its equivalent;Both Master’s and Bachelor’s degrees must be obtained from recognized institutions. Holders of Bachelors Degree with a minimum GPA of 3.8 out of 5 or its equivalent in the following field: – Social work (1); French (1); Philosophy (1); Japanese (1); Special Needs Education (Braille Skills) (1); Special Needs Education (Sign Language) (2); ICT Mediated Content Development (2); Multimedia Technology and Animation (1); Software Engineering (1); Computer Engineering (1); Telecommunication Engineering with Internet (1); Mining Engineering (1); Metallurgy and Mineral processing Engineering (1); Geoinformatics/Geomatics (2); Geology (1); Environmental Sciences (1); Bachelor of Law (LLB) 4 years (1); Physical Chemistry/ Computational Chemistry (1); Organic Chemistry (1); Physics/Electronics (1); Actuarial/ Statistics (1); BSc Midwifery (1); MD (3); Entrepreneurship (1); Tourism and Hospitality Management (1); Procurement and Logistic Management (1); with a minimum GPA of 3.8 out of 5 or its equivalent from a recognized institution.Additionally, one must have scored a B+ in the relevant subjects or its equivalent.Bachelor’s degrees must be obtained from recognized institutions. Holders of Bachelors Degree in Health Sciences (1); Natural Sciences (biology, Chemistry, Physics), Informatics/ ICT (1); Special Needs Education (Visual/ Hearing Impairment (1)Bachelor’s degrees must be obtained from recognized institutions. Holder of Bachelor Degree in Library Studies, Information Studies or its equivalent;Bachelor’s degrees must be obtained from recognized institutions. Holder of Secondary Education Certificate with Certificate in Library Services or its equivalent;Certificate must be obtained from recognized institutions. To display new books and other reading materials;To upkeep backsets of newspapers and journals;To prepare cuttings from newspapers of relevance to the University;To handle simple enquiries from readers;To undertake bibliographical searching.